Have you just discovered the all time worst kept secrets of the hospitality industry? Not only is staying in a serviced apartment less expensive, it provides you with more space, more privacy, and more freedom than staying in a hotel room! But what is it - “a serviced apartment”? Indeed the name varies between different countries, between different languages and even within the same language, moreover, the services provided also vary, blurring product descriptions and concepts. This lack of clarity is challenging for the industry because clients might be misled in their expectations of the level of services. The present article aims at bringing clarity and at conveying to clients what they have as a right to expect from serviced apartments in comparison to hotel rooms. The term ‘serviced apartment’ is traditionally used to describe an apartment alternative to hotel stamping accommodation for short/long stay leisure or business travelers. and the ability to entertain friends. the sector and the steadily increasing understanding among leisure and business travelers of the benefits apartments can offer over traditional hotels. Although a classic hotel operator and a serviced apartment provider share the same objective — selling an accommodation for a night —serviced apartment providers attempt to provide ‘a home away from home’, personalized service and larger living spaces. Moreover serviced apartments are also aimed at guests seeking to stay for an extended period of time in hotel-like accommodation. In meeting guests’ needs, apartments tend to be larger than standard hotel rooms and include kitchen facilities. The attraction of serviced apartments is that they offer the comfort and facilities of a hotel, with the privacy and facilities of home. Unlike hotels, serviced apartments are fully furnished and contain en suite bathroom facilities, a fitted kitchen or kitchenette and a lounge/dining area that includes a sofa bed. The standard of a property is likely to define the level of amenities provided. Commercially oriented serviced apartments generally provide a working area, a desk and an office chair. Internet access and direct telephone/fax lines are important. In comparison to traditional hotels, public areas provided by serviced apartments are usually limited to a small reception/lobby and, potentially, one small communal lounge/breakfast area or none at all. In case there is no reception area any customer service or concierge service usually is only a phone call away. Serviced apartments may also provide a small meeting room or meeting rooms, but that is not very common compared to hotels. The services offered by the apartment provider are usually limited to apartment cleaning (commonly once or twice per week, with optional daily service at extra cost), laundry and reception. Upscale properties may provide laundry equipment in each apartment, whereas properties of a lower standard may provide access to shared laundry facilities. Serviced apartments may in rare occasions provide a breakfast room but because of the availability of kitchen facilities in the unit, serviced apartments unlike hotels usually offer no extra services, such as restaurants and bars. If a restaurant/bar is provided, it is often leased out or operated by a third party. 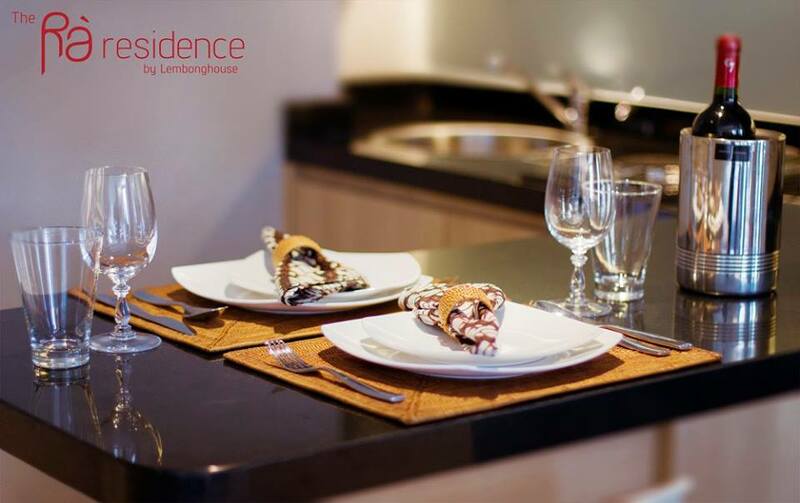 In many instances, serviced apartments providers recommend a range of partner restaurants nearby. Serviced apartments are usually cheaper than hotel room stays due to the following reasons: hotels require a larger staff, maid service for serviced apartments is generally provided less frequently than in hotels, hotels have at least one restaurant which is costly to run, most hotel rates include a daily breakfast cost. Moreover, having the kitchen facilities in the apartment gives the client the option to eat home instead of eating out and so make an instant saving. Larger space in comparison to hotel rooms, the ability to self-cater and price make serviced apartments perfect type of accommodation for family travelers especially on extended visits. Serviced apartments offer more space, privacy and convenience when traveling with a family let it be leisure or business trips. In case of the latter serviced apartments can definitely ease the stress of business trips and reduce the necessity for return trips home - a strength from the perspective of the corporate employer. 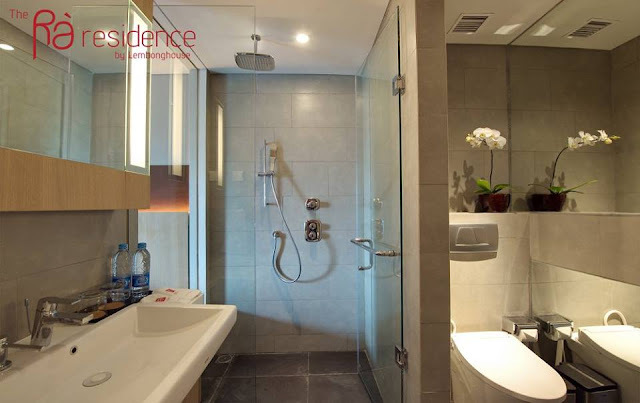 Serviced apartments providers offer all the amenities of traditional hotels, but with the space, comfort and privacy of a full residential apartment. Apartments give you the ultimate combination of space and value. 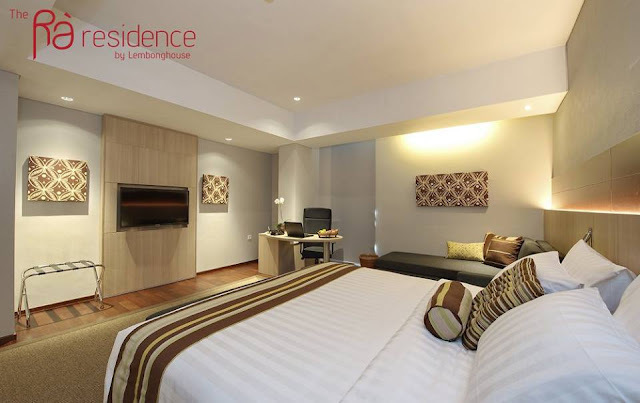 Presents an outstanding prestige as one of serviced apartments in Jakarta and is established with hi-tech and go-green concepts! Ra Stube Bar & Resto is presented as one of another new place to hangout for anyone of you, who will be exploring South Jakarta, especially Cilandak area. 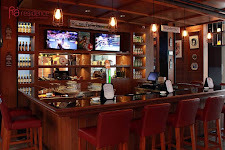 Enjoy the ambiance of woody interior typical German style, great menu, cool beer and more!! Ra Residence Simatupang Jakarta | Ra Newsclips | Designed by DIVO Technology . Ethereal theme. Powered by Blogger.